The Apocalix Muay Thai event is drawing closer. And it occurs to me that some may not know of some the fighters highlighting a pretty awesome card. It should be explained why this is truly an incredible event featuring some of the best talent of Muay Thai in one ring. Without further ado here are some of the fighters participating in this event. Kem will be fighting Mabel Adallah. Mabel Abdallah stands out as 4X champion in full contact kickboxing as well as Muay Thai. Mabel’s record as of December 2009 stands at 75wins, 10 losses, 1 draw and an impressive 41 knockouts! Mabel fights out of St.Fons Gym in France. Fabio Pinca is a gym mate of Mabel’s from St.Fons Gym in France. 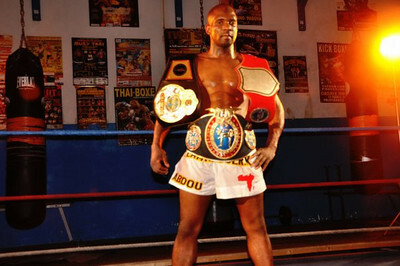 Fabio has experience that belies his young age having fought Attachai, Bovy, and the legendary Saenchai Sor Kingstar. Fabio’s record is 86 fights, 74 wins, 12 losses and an impressive 30 knockouts. 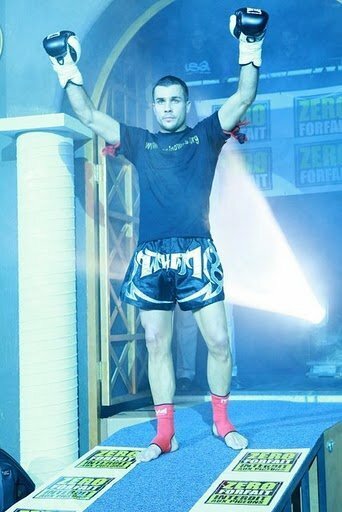 Fabio is the current WBC Muay Thai 140lbs world champion, 2X French Muay Thai champion, WPKC European kickboxing champion, and a WBC Muay Thai international champion. Fabio will be fighting Kem Sitsongpeenong’s gym mate Sittichai Sitsongpeenong. 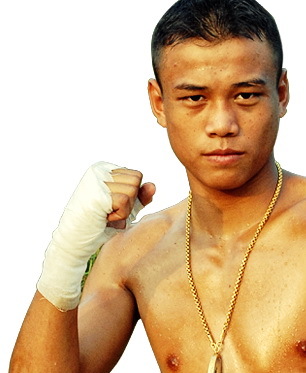 Like Kem Sittichai’s accomplishments in Muay Thai are also impressive. Sittichai Sitsongpeenong’s record is 55 wins, 22 losses and 3 draws. Among Sittichai’s accomplishments are a number 6 ranking in Lumpinee Stadium, a #6 ranking in Thailand and a WBC Muay Thai rank of #2. Sharos Huyer comes out of Italy’s Calzolari Milano DE Gym. With wins in Rajadamnern and Lumpinee Stadiums Sharos won the Ayudtaya World Nai Kanom Thom belt. Sharos’ record stands at 22 wins, 3 losses and 7 knockouts. Sharos will be fighting Michael Piscitello from France’s Nasser Gym. 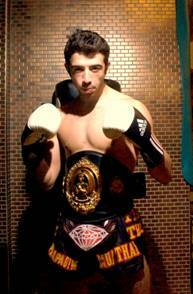 Michael has been A WKN European Champion and a WMC Muay Thai Intercontinental Champion. Michael has also fought at Rajadamnen stadium in Thailand. Anyone wishing to attend can get a reduced price ticket and get into the venue before everyone else at the Gotti Promotion site. ~ by fatsoking on April 5, 2010. Thank u FK, this is relly a fantastic opportunity for us to be known in the USA as well. With just 20 days to go now I am starting to fully realise the scale that Apocalix has gained is so little time. Thanks to people like you that have supported us from the beginning and all who is involved in the organisation of this event which my boss, Alessandro Gotti, calls “my creature”, since I chose the name!! I wish you could be with us but rest assure I will keep you posted on all the news and updates and, of course, the final results. So thank you again dear friend, and you are already invited to the next Apocalix as my personal special guest. My pleasure Ms.T! The scale of this event is just enormous given the level of the fighters in it!